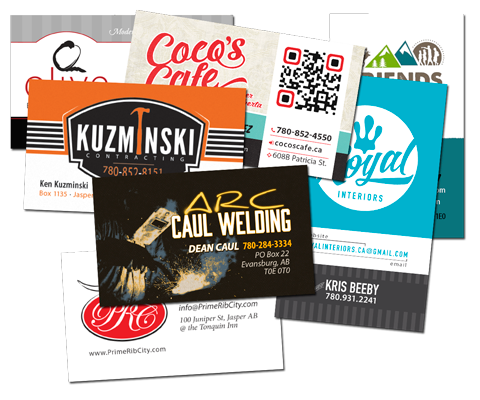 Single-sided or double sided business cards printed on 100lb card stock. Available in a gloss or matte finish. 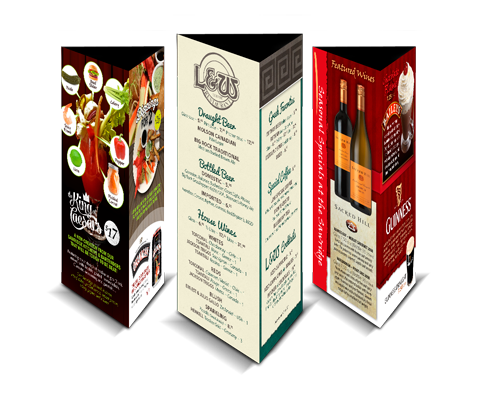 Our table cards are printed on heavyweight gloss stock and come ready to fold with a strip of adhesive pre-applied to make them stay together better. 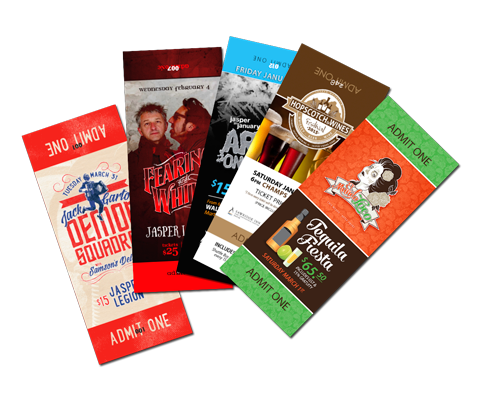 The standard tent card size we print has a face size of 5″ wide by 7″ tall on each side of the card. Each face can have the same or a different graphic. We can also accommodate other sizes, just contact us and let us know what you are looking for. 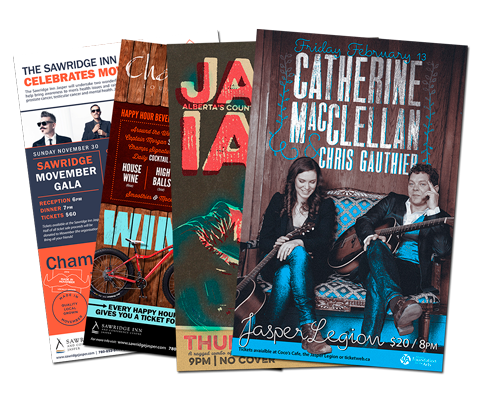 We print our rack cards on the same heavyweight card stock as our business cards. 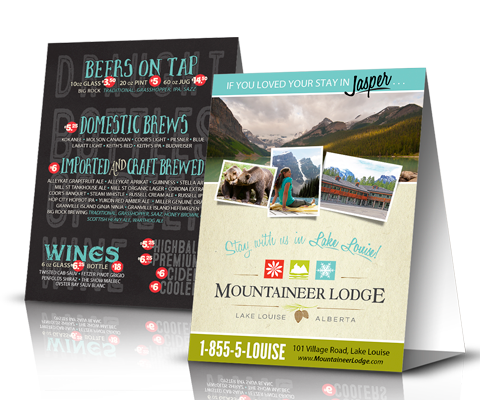 They are available with a matte or gloss finish, are a standard 4″x 9″ and can be printed on both sides. 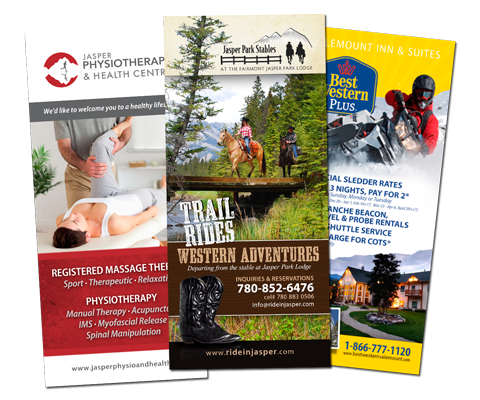 We print our full color posters on a heavy weight 80 lb gloss poster paper with color right to the edge. Our tickets are printed on 100 lb glossy stock and can be individually numbered on each end to allow the ticket to be torn in half for door prize draws or simple door check in.